The Horror Movie BBQ: Return of the Loot Crate! It's back! Yup! 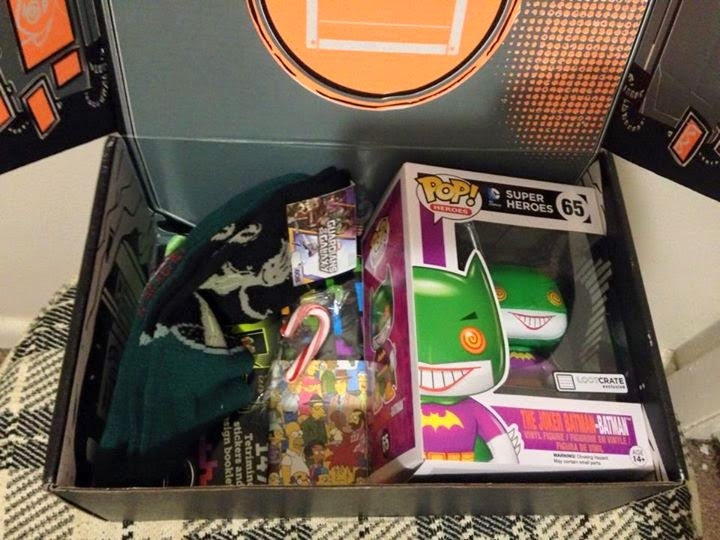 Loot Crate makes it's highly anticipated return with a new killer package. I received my first one back in August as an early birthday from my girlfriend but cancelled it after we received the October shipment left us underwhelmed. But reading up on the description for December's elusive package, we were intrigued. The tagline was "anniversaries" which eluded to Batman, Ghostbusters, and others as well as including an exclusive Funko Pop. 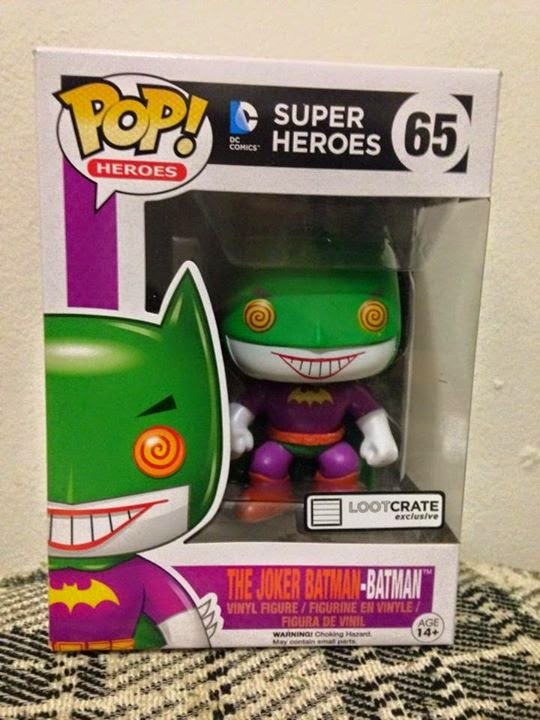 So being a Batman fanatic and a Funko collector, I knew I had to have it. After weeks of anticipation, it finally arrived! Look at all that goodness! 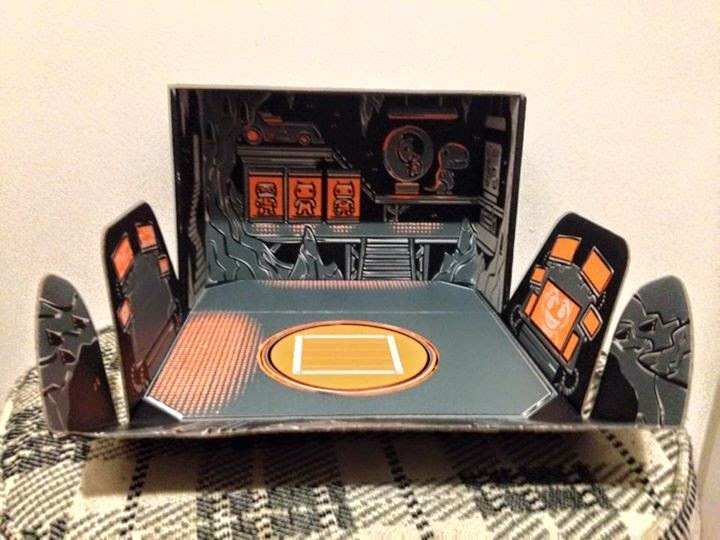 And even better, it's based on the Batcave design. Love the Batmobile sticking out! A great way to start it off! I always look forward to the inner box design, it's always a special treat. So, Charlie approved. Good. I'd hate to throw all this fantastic stuff out. Let's take a quick peek! 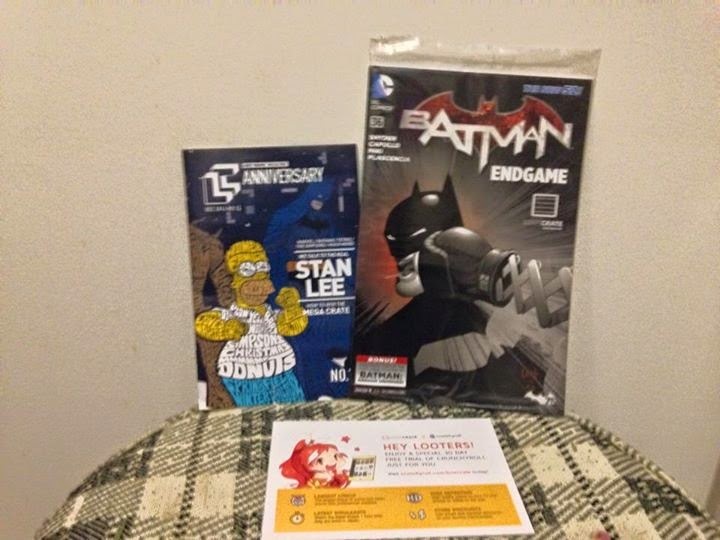 The Loot Crate Magazine, a Batman comic and a 30 day subscription to an anime/manga on demand service. Now, I use to be into anime, but not anymore, so I won't have much use for it. But the magazine boasting an interview with THE REAL Stan Lee(as opposed to his phony doppelganger known for creating Fentel The Demented ArachnoidHuman Hybrid) and a copy of a Batman comic featuring an exclusive cover. Not a bad deal, huh? More Batman comics are always welcome in my home. And it's a great cover! 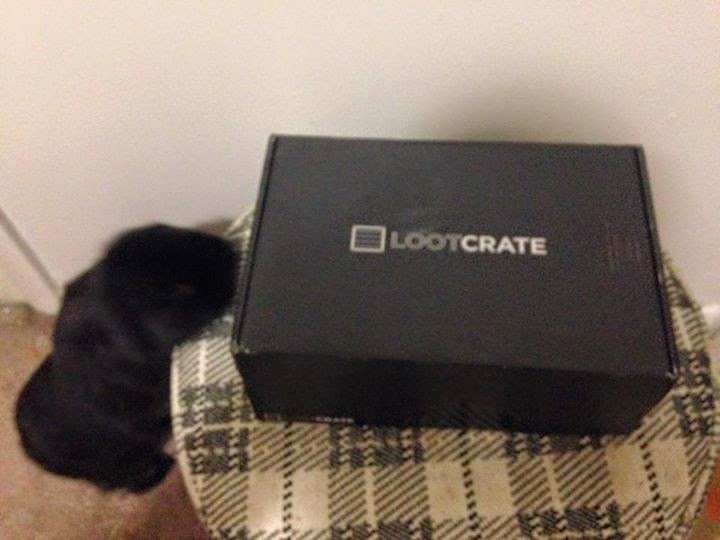 1-0, Loot Crate. Up next is a nice set of items that could turn any rainy day into Christmas morning. 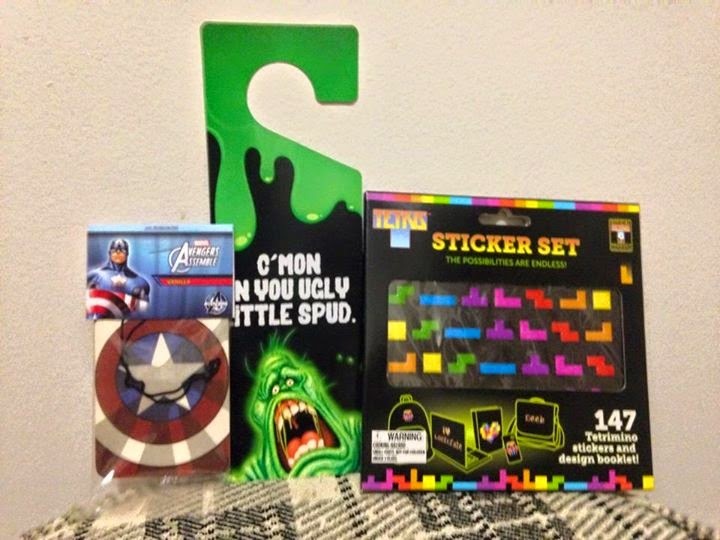 A GhostBusters door hanger, a Captain America air freshener(vanilla!) and a Tetris sticker set. Come on! How can you have a bad day with this stuff? Hang Slimer on your door handle, hang up the air freshener, and go to town on your wall with Tetris stickers. 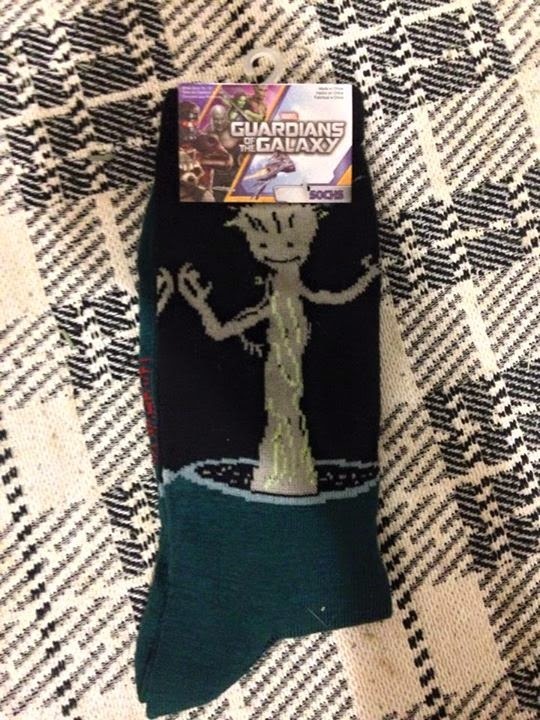 Now it all makes sense! 2-0! This is it. The main event. The anniversary celebration ends with the mashup of The Joker and Batman. I saw this earlier this week in a spoiler. I could no longer wait to receive this, I had to know. And it was worth it. This Pop! may be the best one yet. The design and colors literally(no pun intended) pops out at you! Yes, I know it's just a repaint of a normal Batman figure but it works so well. His eyes, the green and purple, the demented smile. Definitely seems like an idea Joker would come up with, which makes it even better. Everything. I love this figure and think in the vast Pop! 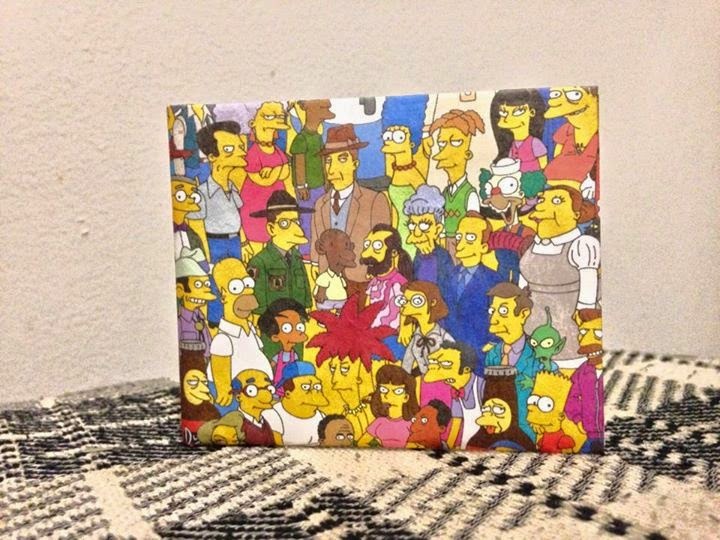 universe, this could very well be my favorite release ever. 5-0. A 5 star set. Can't say it much better than that. Everything in this collection is a flawless item and useful for all geeks! So if you're interested in receiving more geeky goodness, subscribe today for next month's great crate! And if my endorsement isn't enough, perhaps Charlie will? Well, he's busy digging through my Ghostbusters pail. But he'd want you to subscribe!